South Korea Has the Fastest Internet Speeds, but Is It Free and Clear? 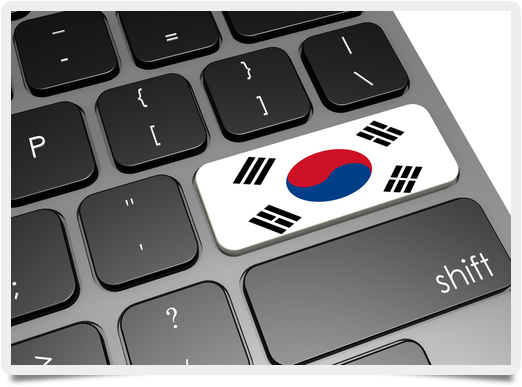 Broadband News » Features » South Korea Has the Fastest Internet Speeds, but Is It Free and Clear? At the end of January 2014, South Korea’s science ministry announced investments of up to $1.5 billion in conjunction with local Internet service providers (ISPs), according to the Guardian. The plan is to replace the country’s 4G network with a next-gen 5G alternative by 2020, making it possible to download an 800 megabyte (MB) movie in just one second. The nation already boasts average download speeds of about 22 megabits per second (Mbps), with over 78 percent of its 50 million people connected via smartphones. Ideally, South Korea wants to be out in front when it comes to 5G design and beat out other countries like the United States and China, since speedy Internet services have provided a steady economic boost. Upgrades to the existing network would also allow better connection on high-speed bullet trains — currently, users aren’t able to access 4G Internet on any trains traveling over 300 kilometers per hour (kph). Using a 5G service, even traveling 500 kph wouldn’t pose a problem. In addition to the fastest Internet speeds in the world, South Korea also has a significant amount of government censorship. Under the watchful eye of the Korea Communications Standards Commission (KCSC), Internet use, web page creation, and even mapping data are all regulated. As noted recently by the Malaysian Digest, children under 16 are not permitted to participate in online gaming between midnight and 6 a.m. — accessing the Internet requires users to enter their government-issued ID numbers. In addition, South Korean map data isn’t allowed to leave the country, meaning Google Maps can’t provide driving directions, and last year the KCSC blocked users from accessing 63,000 web pages. While it’s possible to get around these restrictions using a virtual private network (VPN), those found violating the nation’s Internet rules are subject to large fines or even jail time. The bottom line? South Korean Internet is the fastest in the world — the United States, by comparison, barely sneaks into the top ten for average download speed. What’s more, the country is already on the road to upgrading its speedy service, while the bulk of US customers are still using 3G networks or dealing with sub-5 Mbps downloads. The fastest Internet speeds come at a cost, however, thanks to the KCSC and a host of user restrictions. But the country proves a technological point; 5G is well within reach and offers speeds previously thought impossible. Ideally, US Internet evolution can follow suit without restricting user access.